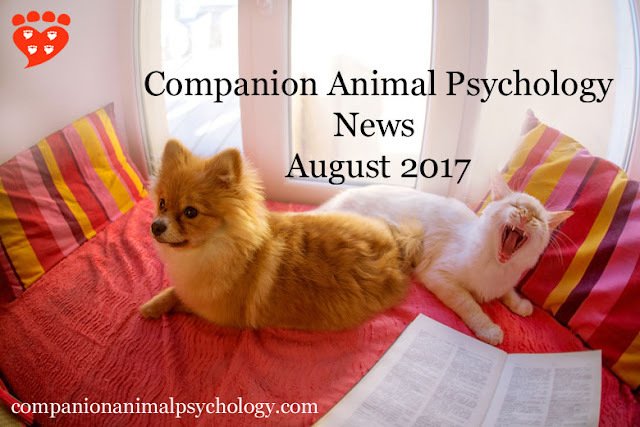 The latest news on dogs and cats from Companion Animal Psychology. Adding a younger pet to a geriatric household. American Veterinarian speaks to Dr. Marsha Reiss. On-leash etiquette, management and reactivity. Great tips from Allison Wells for the Academy for Dog Trainers. “So. I did say most dogs play just fine. 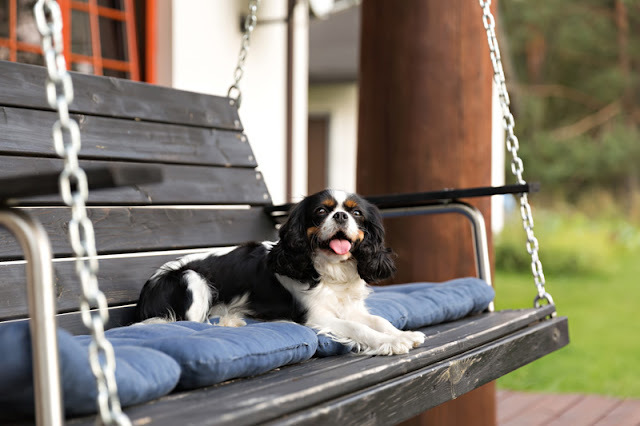 As any dog trainer will tell you, some dogs who enjoy play also seem to be...well, kind of bad at it” Eat, play, love by Kristi Benson CTC explains how to fix it if this applies to your dog. “The classic self-recognition test gets a makeover for dogs, using smell, not sight.” Beautiful explanation by Dog Spies by Julie Hecht of a new study on self-recognition in dogs. Are dogs getting cuter?John Bradshaw PhD on the rise in popularity of brachycephalic dogs such as pugs. What do cats do when they pee and poo? By Mikel Delgado, PhD. You know you want to know. A summer reading list for dog and cat people. This year’s theme is sound advice on dogs and cats. In a world where good information is hard to come by and persistent myths about animals continue to lead people astray, sound advice is well worth sharing. And sharing again. Read on for some of my favourite posts that help us to understand – and train – dogs and cats better. Dogs and wildlife – tips for going off-leash from Allison Wells of I Love Your Dog Don’t miss Shadow’s happy “recall face”! 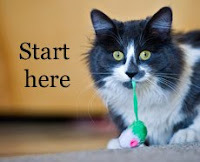 Have you ever thought of training your cat? Cats would like you to know they are open to training by DogSpies by Julie Hecht. 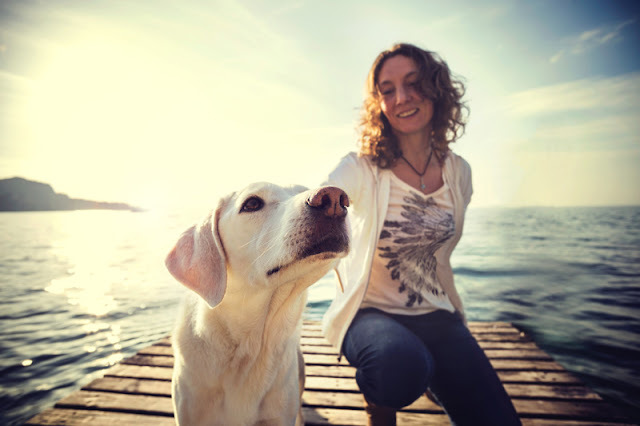 We can all learn when we decide to observe dogs in interaction with people. I think most people who use reward-based training methods do so for ethical reasons: they believe it’s the right way to train a dog. They also know it works. Science is on their side. A recent review of the literature on how people train pet dogs concluded that reward-based training is best for welfare reasons (and it works). Training dogs with aversive methods risks unintended consequences, such as the risk of stress, fear, and aggression. Reward-based training avoids those risks and gives dogs positive experiences. But what if we can’t recognize signs of fear and stress in our dogs? Then we might not realize when our dogs are not happy. Here’s where it gets tricky for dog owners, because many people aren’t very good at reading canine body language. Which is not surprising, because it’s not quite the same as ours. You have to pay close attention to pick up on some of the signs. Researchers follow lab beagles as they go to live with a family – and find they adjust very well. Laboratory beagles are used for a variety of experiments. A new study by Dorothea Döring (LMU Munich) et al investigates how they behave in normal life once they are rehomed with a family. 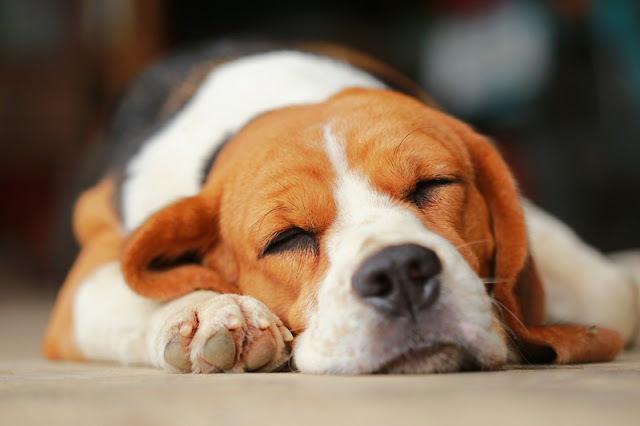 Although some laboratory beagles are re-homed directly to individuals, most are rehomed via animal welfare organizations that specialize in placing them. The researchers studied 145 beagles that were rehomed by two such organizations from a pharmaceutical company. The book of the month is How to Tame a Fox by Lee Alan Dugatkin and Lyudmila Trut. 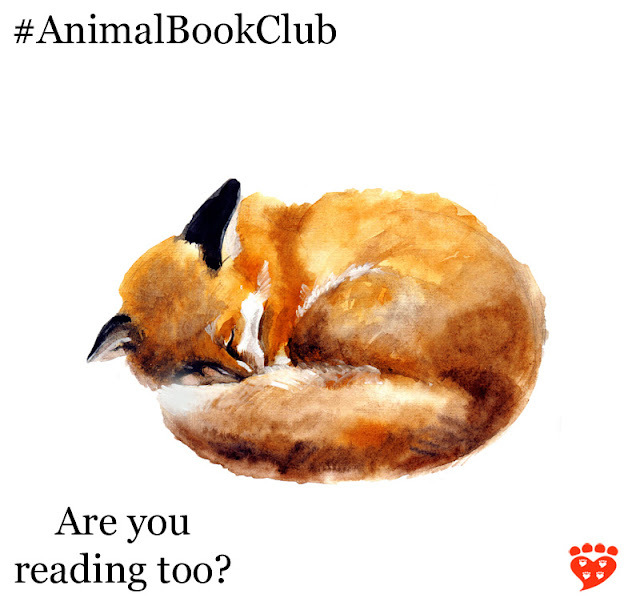 The Companion Animal Psychology Book Club book for August 2017 is How to Tame a Fox (and Build a Dog): Visionary Scientists and a Siberian Tale of Jump-Started Evolution. "Most accounts of the natural evolution of wolves place it over a span of about 15,000 years, but within a decade, Belyaev and Trut's fox breeding experiments had resulted in puppy-like foxes with piebald spots and curly tails. Along with these physical changes came genetic and behavioural changes, as well. The foxes were bred using selection criteria for tameness, and with each generation, they became increasingly interested in human companionship. Trut has been there the whole time and has been the lead scientist on this work since Belyaev's death in 1985, and with Lee Dugatkin, biologist and science writer, she tells the story of the adventure, science, politics and love behind it all."